The big picture: Dell's return to public markets won't have much of an impact on casual observers but for those with skin in the game, it's yet another layer in what has been a complicated ride over the past five years. Dell on Friday made its return to public markets official, re-launching on the New York Stock Exchange under the ticker symbol DELL. The company is currently trading at $44.78 after opening at $46. Dell shareholders voted earlier this month to go public once again. As you may recall, the technology giant went private in 2013 courtesy of a $24 billion leveraged buyout led by founder Michael Dell and private equity firm Silver Lake. The computer maker was able to skirt the process of an initial public offer due to the fact that it purchased the publicly traded tracking shares of VMware earlier this month for $120 per share (a total of $23.9 billion). Dell, if you remember, bought EMC a few years back for $67 billion. Shares in VMWare, meanwhile, are up 1.94 percent to $157.30 as of writing. 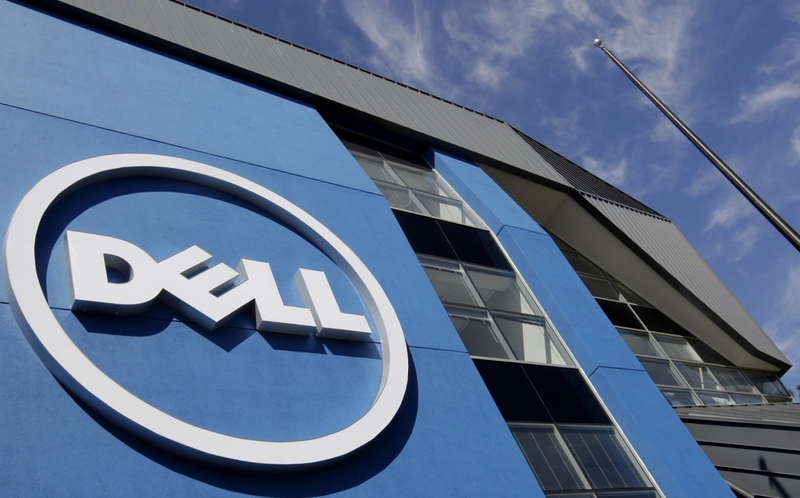 JPMorgan analyst Paul Coster set a target price of $60 on Dell stock based on today’s move. “The firm has reported 23 consecutive quarters of share gain in the PC market, and Dell is a leader in many infrastructure product categories, including storage, x86 servers, external storage arrays, hyper-converged infrastructure, client technology, and server virtualization," Coster said.